Work smarter, not harder with Cloud Data Exchange. The number 1 integration platform. 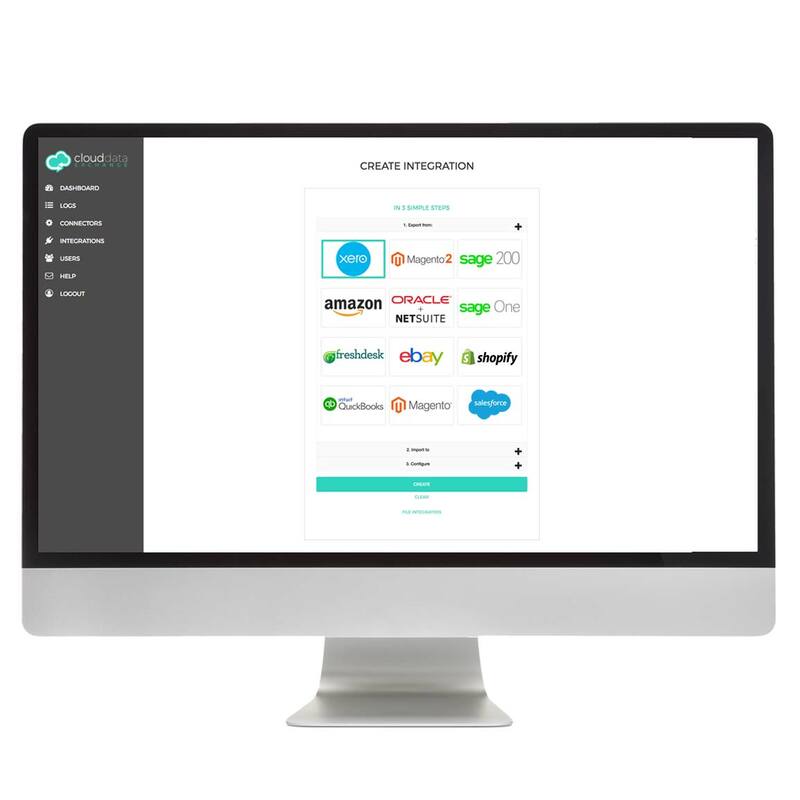 Connect systems including Sage 200, Sage Live, Sage One, Salesforce, NetSuite, Xero, Quickbooks, Shopify, Amazon, eBay, Magento and Freshdesk. Cloud Data Exchange is a fully cloud based integration solution which will revolutionise data communication within your business. Our module seamlessly integrates well-known platforms such as Sage 200, Sage Live, Sage One, Salesforce, NetSuite, Xero, QuickBooks, Shopify, Amazon, Magento, eBay, and Freshdesk, with many more plugins in development. If you have a requirement for an integration that isn’t listed, then get in touch, and see if we can work to achieve this for you. Transfer information such as Sales Orders, Payments, Customers and Stock Levels between platforms including Ecommerce sites and ERP systems. Monitored remotely via any web browser, the system provides you with accurate, real-time reports on performance, allowing you to make proactive, informed decisions. Cloud Data Exchange can benefit businesses of any industry or size, removing barriers and increasing productivity, whilst remaining a fully scalable solution able to grow with your business. Follow the link below to visit the Cloud Data Exchange Website.